Editable select box - A user can either select a value from the list or type a custom value. Read-only select box - A user can select just one value from the associated list of choices. Filter - The whole list is loaded on the client side, and as a user begins to type, the list is updated with the appropriate values (which contain or begin from the characters typed). Autocomplete - The list is loaded and shown as a user types in the input box. 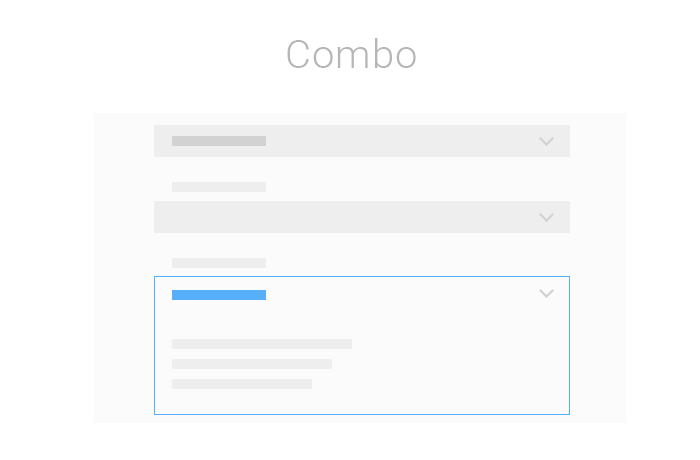 It supports easy creation of linked combo boxes, sorting, custom text templates, and multiline items. Our detailed documentation can learn how to use Combo and effectively implement it in your own applications. It provides the detailed information regarding each aspect of the widget.